We’ve wrapped up and cleared the floor of the COBO Center. While the media goes home, automakers will shuffle around their displays and prepare for the public show opening on the 16th. Until then, you won’t be able to see any of the new models in person. Here’s the best from Day 2 and some that didn’t make the cut on Day 1. 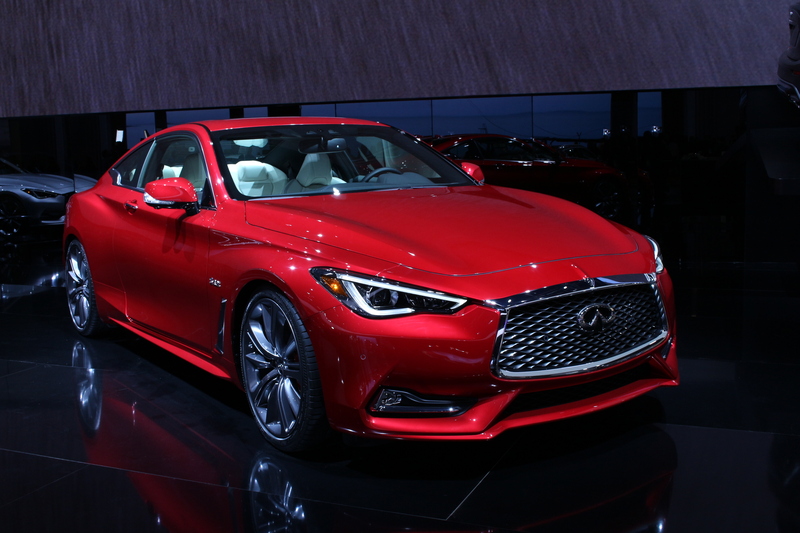 The Infiniti Q60 is the don’t-call-it-a-G37-coupe from Infiniti. Now sporting a new 400 horsepower, twin-turbo 6-cylinder up front and an extremely good looking body and interior, the Q60 is on the hunt for blood against BMW, Mercedes, Lexus and Audi. Our hatred for the original steer-by-wire system in the Q50 sedan is still is there, but the retooled setup in the coupe could prove promising. All we need to do now is get behind the wheel and see how well the new Q60 performs. A 2-liter turbo will also be available. 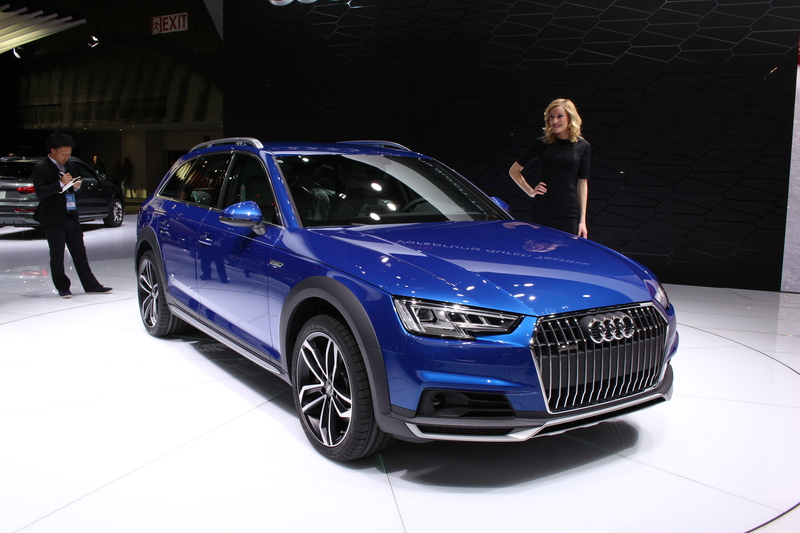 The new Audi A4 Allroad is the new in-betweener. It sits 1.3 inches higher than its new A4 sedan sibling and offers multiple engine variants. We tested an Allroad a few years ago and, with the update interior and exterior, the new car exudes the upscale feel. While the A4 sedan no longer is offered with a manual, mention of a six-speed manual available on the Allroad had us intrigued. Look for it later this year as a 2017 model. 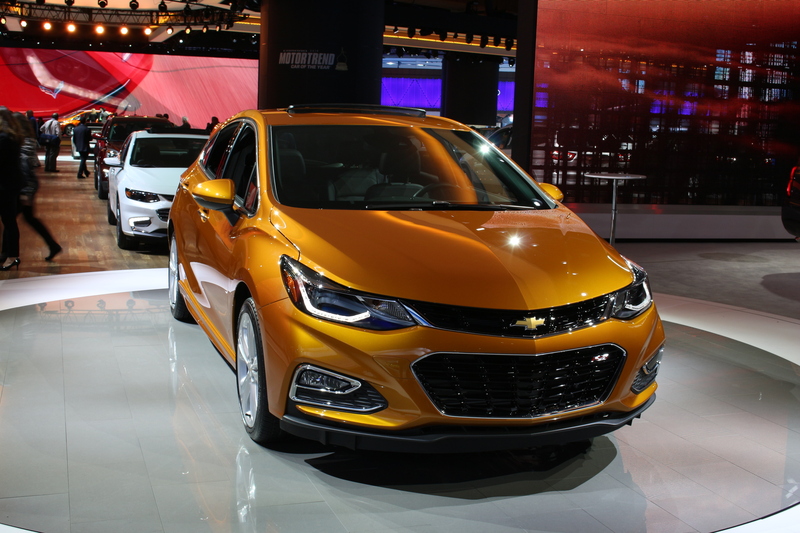 Following our recent review of the Scion iM, Chevrolet debuts a very appealing looking Cruze Hatchback. Also debuting for the first time is the turbocharged only 1.4L engine. It has 153 horsepower and 177 lb-ft of torque, which should prove to be enough to move the Cruze down the road. Two transmissions are available, both six speed, one manual and one automatic. Look for fuel economy to be very near 40 miles per gallon. If the drivetrain has any self awareness, it’ll best the iM and Corolla with ease. In the whirlwind of Day 1 activity, we overlooked this highlight. It may look like just a Fusion with a facelift, but there’s much more going on underneath, hinted at by four exhaust tips. Ford slipped 2.7L EcoBoost V6 underhood that cranks out 325 hp and 350 lb-ft torque though a six-speed automatic and all-wheel-drive system. 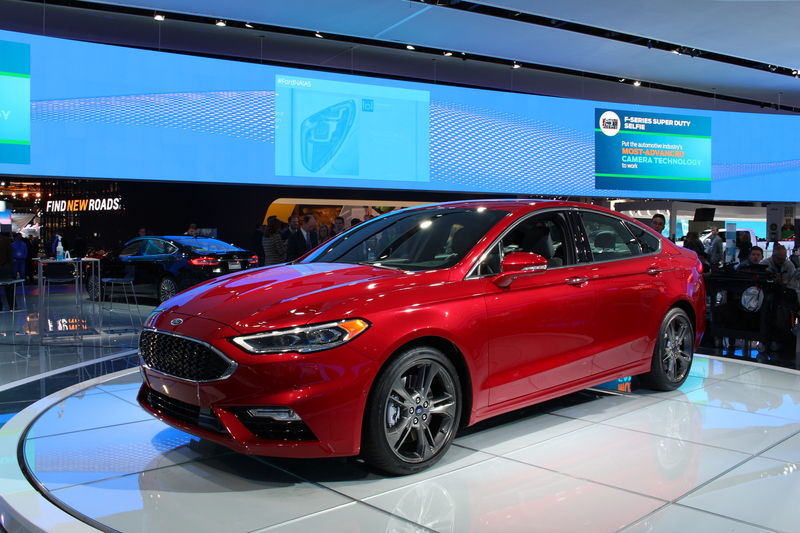 Dubbed the Fusion Sport, this family sedan should pack a satisfying punch. 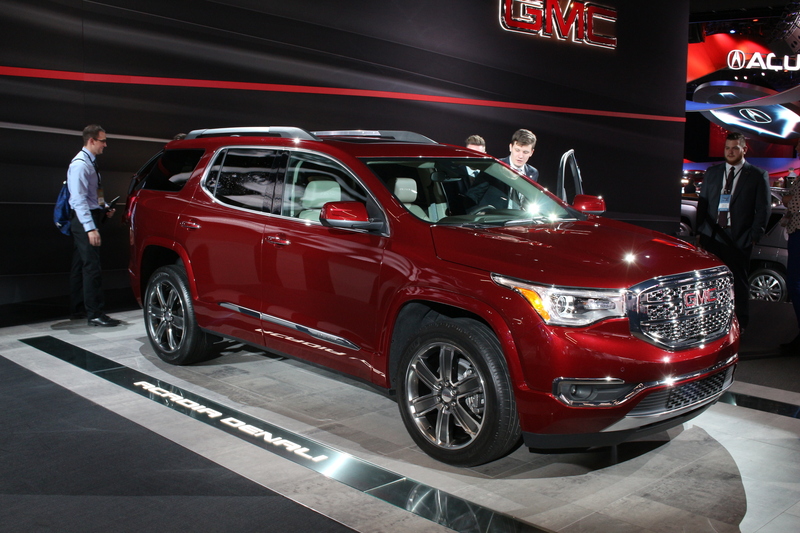 This svelte-looking crossover is the new GMC Acadia. This new Acadia hit the gym for 2017, dropping 700 lbs and over 7 inches in length from the previous generation. With a smaller 3rd row and seating for 7, GMC seems to have separated its full-size SUVs from its crossover offerings. Two new engines are available, a 2.5-liter four-cylinder and 3.6-liter six-cylinder, maxing out at 310hp, are connected to a six-speed automatic. For extra efficiency, AWD models can disconnect the rear wheels, turning the Acadia into a FWD vehicle until the grip is needed. Expect to see this glitzy new people-mover filling up soccer fields and school parking lots everywhere soon.